Dave Jenkins Jr has been drumming for as long as he can remember. Growing up with a talented drummer dad, in a household full of drums, it was inevitable that he would jump behind the kit himself. Jenkins Jr started his first band at the age of 8 playing Beatles and Nirvana songs, and went on to form Sydney indie bands The Inheritors and Young Romantics. 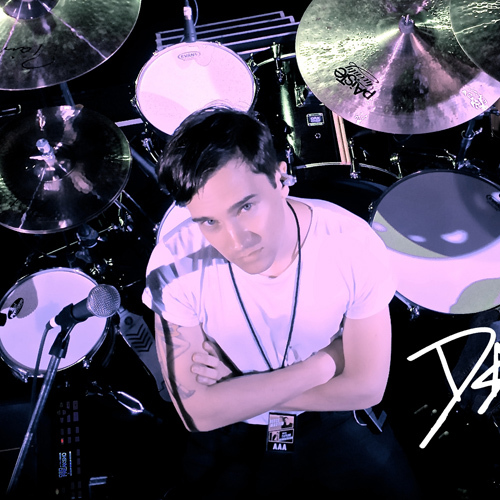 More recently, Dave has hit the skins and toured with accomplished artists Andy Bull, Bertie Blackman, Carly Rae Jepsen, Kirin J Callinan and X-factor winners Reece Mastin, Samantha Jade and Dami Im. Dave Jenkins Jr’s relaxed yet energetic style has gone on to earn him a worthy reputation as one of Australia’s most sought after session musicians.